Renew or extend your Watchguard XTM 25 or 25W firewall - WatchGuard offers 8 security subscriptions to extend your network protection plus LiveSecurity for support and maintenance. It is important to keep your WatchGuard XTM 25 Firewall updated to cover you against the latest threats. Renew or extend your subscriptions today. Extend your WatchGuard XTM 25 Security Software Suite for one year. 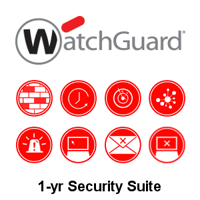 Extend your WatchGuard XTM 25-W Security Software Suite for one year. Extend your WatchGuard XTM 25/25W Data Loss Prevention for one year. Protect your network against advanced threats with WatchGuard APT Blocker for XTM 25/25-W. Going beyond signature-based antivirus detection, using a cloud-based sandbox with full system emulation APT Blocker detects and blocks advanced malware and zero day attacks. 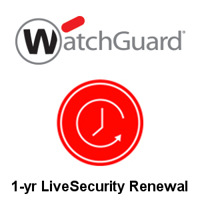 Extend your WatchGuard XTM 25/25W Application Control for one year. Extend your WatchGuard XTM 25/25W Reputation Enabled Defense for one year. Extend your WatchGuard XTM 25/25W Intrusion Prevention Service for one year. Extend your WatchGuard XTM 25/25W spamBlocker for one year.